Definition at line 130 of file zip.c. Definition at line 150 of file zip.c. Referenced by zip64FlushWriteBuffer(), zipCloseFileInZipRaw64(), zipOpenNewFileInZip4_64(), and zipWriteInFileInZip(). Definition at line 142 of file zip.c. Referenced by zipCloseFileInZipRaw64(), and zipOpenNewFileInZip4_64(). Definition at line 152 of file zip.c. Referenced by zipCloseFileInZipRaw64(), zipOpenNewFileInZip4_64(), and zipWriteInFileInZip(). Definition at line 161 of file zip.c. Definition at line 151 of file zip.c. Referenced by Write_LocalFileHeader(), and zipOpenNewFileInZip4_64(). Definition at line 153 of file zip.c. Referenced by zip64FlushWriteBuffer(), and zipOpenNewFileInZip4_64(). Definition at line 146 of file zip.c. Definition at line 159 of file zip.c. Definition at line 148 of file zip.c. Referenced by Write_LocalFileHeader(), zip64FlushWriteBuffer(), zipCloseFileInZipRaw64(), zipOpenNewFileInZip4_64(), and zipWriteInFileInZip(). Definition at line 160 of file zip.c. Definition at line 138 of file zip.c. Definition at line 140 of file zip.c. Definition at line 155 of file zip.c. Referenced by Write_LocalFileHeader(), zipCloseFileInZipRaw64(), and zipOpenNewFileInZip4_64(). Definition at line 149 of file zip.c. Definition at line 143 of file zip.c. Definition at line 145 of file zip.c. Definition at line 144 of file zip.c. Definition at line 132 of file zip.c. Definition at line 137 of file zip.c. 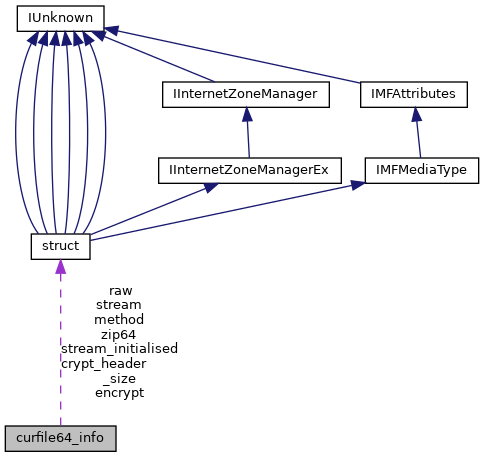 Referenced by zipCloseFileInZipRaw64(), zipOpen3(), and zipOpenNewFileInZip4_64(). Definition at line 156 of file zip.c. Referenced by zip64FlushWriteBuffer(), zipCloseFileInZipRaw64(), and zipOpenNewFileInZip4_64(). Definition at line 157 of file zip.c. Definition at line 154 of file zip.c.